As Europeans prepare to celebrate the 50th anniversary of the European Union, Jacques Delors, former president of the Commission and father of the Treaty of Maastricht that turned the 'European Community' into a real Union, suggests the EU builds a genuine European Energy Community as a way to overcome the sense of crisis that has kept the continent in its grip for quite a while now. When the Founding Fathers of modern Europe signed the Treaties of Rome in 1957, they created the 'European Atomic Energy Community' and the 'European Economic Community' which aimed to strengthen peace through economic cooperation, amongst countries that had just come out of a World War that had destroyed their societies and left their economies in ruin. A few years before, in 1951, six European countries - Belgium, France, Germany, Italy, Luxemburg and the Netherlands - had created the European Coal and Steel Community to manage their heavy industries collectively. From the very beginning, energy and economic cooperation were the building blocks of what would later become the EU. Five decades later, with 27 member-states, 500 million prosperous inhabitants living in peace, and the world's largest economy, the Union celebrates its achievements, but also reflects on its future. A cloud of doubt has gathered over the continent, after the Iraq War caused a rift in the Union between those who were right and those who were wrong, and after the French people voted 'Non' during the infamous referendum on the European Constitution. People in France think the EU has become too liberal economically while its social unification is lagging behind. They feel that Europe's unique social models are threatened by the forces of globalisation - and the Constitution as it was presented to them reinforced that sense of danger. It's a perception shared by many European citizens. Meanwhile, European leaders have understood the message. The Berlin Declaration that will mark the EU's 50th anniversary, is expected to give fresh impetus to the stalled constitutional debate. Not only will it outline the EU's historic achievements in terms of peace, freedom, prosperity and solidarity, it will stress the need to defend a more social Europe in negotiations over its future. Former President Jacques Delors understands this sense of crisis and calls for the EU to be more ambitious in its attempts to unite citizens behind a new vision. On the question what urgent measures should be undertaken in order achieve this, Delors recommends the creation of a genuine European Energy Community, modelled on the concept of the early European Coal and Steel Community. At first sight it might seem strange to choose energy, of all things, as the core of a new collective vision for the future of Europe. But on further reflection it may make sense: energy touches the kernel of the way our societies work - economically, socially, (geo)politically and environmentally. By radically changing this kernel, all the issues connected to it take on a new color as well. The abundance of fossil fuels was the core of an economic model that made an unsustainable consumer lifestyle possible for a while (the 20th century). This paradigm implied an industrial model and a mentality in which nature, people and social relations are expendable, exchangeable and depletable. Climate change proves that, at least when it comes to nature, such a vision is disastrous for our future. Politically and geopolitically speaking, the fossil fuel paradigm has fueled some of the world's dirtiest conflicts. The war in Iraq is just the latest example - global terrorism its consequence. So by radically rethinking our energy paradigm, we are forced to rethink our productive, economic and social relations - on a European and on a global scale. This is why Delors' suggestion for a European Energy Community goes beyond energy and hints at new mentalities, new modes of production and consumption, and a more holistic, sustainable relation with nature. If Europe were to speak with one voice on the international stage, it would also be much stronger to convince others to join the attempts to create a greener and climate secure future. A European Energy Community would have very practical uses as it would strengthen the Union's positions in talks with the producers of oil and gas, with rapidly emerging economies, and with the U.S. over climate change, sustainable development and a shift towards a low carbon economy. In an era of volatile energy prices, geopolitical troubles, and the inconvenient truth of global warming, the idea is most welcome. Le Monde, L’énergie pour relancer l’Europe - Nov. 7, 2006. A new FAO project in Kenya and the United Republic of Tanzania is forging links between farming communities and Brazilian firms specialized in production of equipment used in conservation agriculture (CA). 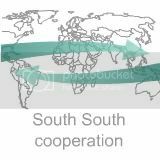 The objective of that South-South cooperation is to boost agricultural production in both countries by encouraging a shift to CA techniques, which optimize the use of farm labour and could also help reduce widespread land degradation. Under the three-year, Germany-funded project, up to 4,000 farmers are to be trained through participatory field schools in conservation agriculture practices, including reduced or no-tillage (NT) and the use of permanent soil cover. Since dedicated CA implements - such as knife-rollers and direct seeders - are not widely available, the project will take Kenyans and Tanzanians to Brazil to study CA technologies and will design strategies for developing a sustainable equipment supply chain in the subregion. Lessons learned will be "up-scaled" and disseminated throughout Africa. FAO says conservation agriculture offers Kenyan and Tanzanian farmers a pathway to sustainable agriculture and rural development, which hinges on sustainable land management and better use of available farm labour. In both countries, land degradation is a major constraint on the productivity of labour and other external inputs. In addition, farming communities have been seriously weakened by migration to urban areas, the rapid spread of the HIV/AIDS, and the persistence of debilitating diseases such as malaria. The reduction in farm labour availability is forcing farmers to abandon traditional methods of land preparation and other farm operations, and many now plant seed directly into unprepared land immediately after the onset of wet season rains. "While farmers and extensionists often regard such practices as a poor way of farming, planting without ploughing uses less human labour and animal power," says Josef Kienzle, of FAO's Agricultural and Food Engineering Technologies Service. "So, far from being a 'coping mechanism', no-tillage cultivation has the potential - if carried out in conjunction with other appropriate agronomic practices - to become an important part of strategies to improve food production and stabilize threatened rural livelihoods." The benefits of no-tillage on small farms are well known in Brazil, which has pioneered conservation agriculture in tropical and subtropical farming systems. The first prototype NT seeder and a prototype knife-roller for residue management were designed in 1985 by Agronomic Institute of Paraná State (IAPAR). Research over the following years bore fruit in 1992, when the Paraná government launched a large-scale evaluation of CA systems and ordered 50 seeders and other equipment from a local manufacturer. With that political backing, and the support of government and private extension services, other small industries began producing CA equipment and developing new designs tailored to different types of soil, crops and animals. Direct seeding was soon recognized as an excellent means of natural resource conservation, which attracted financial support from the federal government for a programme that encouraged farmers to adopt the innovations. Economic advantages. Evaluations have confirmed the economic advantages of no-tillage over conventional tillage systems. Trials conducted between 1997 and 1999 showed that the maize yields of no-tillage farmers were 3.5% higher and overall income 11.3% higher. "The most striking differences were observed for returns to labour," says IAPAR's Fátima dos Santos Ribeiro. "Since it requires less labour and distributes labour inputs more evenly across the year, no-tillage systems have a clear advantage." One study in Brazil's Central-Southern region found that bean production required around 140 hours of labour per hectare using no-tillage methods, compared to 190 h/ha under conventional tillage. In fact, surveys show that, for farmers, the reduction in labour requirements is the most important benefit of no-tillage, ahead of erosion control and even yield increases. To transfer and adapt that experience to East Africa, the new FAO project will build on the achievements of a pilot CA programme in Kenya and Tanzania, implemented between 2004 and 2006, that created 90 Farmer Field Schools to train farmers and extensionists in CA and sustainable land management. As part of that programme, FAO helped procure a limited quantity of CA equipment from southern Brazil manufacturers. "In this new phase," says Josef Kienzle, "we will be facilitating the creation of a further 200 field schools, and Brazil has now become a full development partner. An important aim is to help East African equipment manufacturers learn more about Brazilian experience in building a self-sustaining input supply chain for CA equipment, and to promote direct private sector and dealer relationships between Brazil and East Africa." After an initial study visit by Kenyan and Tanzanian farmers, equipment manufacturers and suppliers to Brazil, Brazilian manufacturers will tour East Africa to gain first-hand knowledge of the small farm sector and the equipment supply chain, with an eye to developing collaborative ventures. The project will explore different approaches to no-till equipment supply in Africa, ranging from direct importation, local assembly and local manufacturing with imported components, to full local production and joint ventures. Image: In Tanzania, a trainer demonstrates the use of a Brazilian-made direct seeder. Courtesy: FAO. FAO's regional partner in the Kenya-Tanzania conservation agriculture project is the African Conservation Tillage (ACT) Network, a Nairobi-based association of farmers, input and machinery manufacturers and suppliers, researchers and extensionists. Founded in 2000 with GTZ support, the network promotes CA as a means of improving food security and rural livelihoods in the region. See the ACT website. FAO Magazine Spotlight: "Cover crops" save soil in Brazil - May 2001. For the first time a large, truly multidisciplinary team of scientists has studied the complex tradeoffs between incomes for poor farmers in the tropics, biodiversity loss and the way ecosystems cope with deforestation. The results are interesting in the context of biofuel production in the tropics. They show that while conversion of tropical forest for agriculture results in significant declines in biodiversity and carbon storage, farming cash crops such as cacao under the partial shade of high canopy trees can provide a way to balance economic gain with environmental considerations. The team consisted of a dozen scientists from mainly German universities, in particular the Georg-August-Universität Göttingen, the University of Hohenheim and the University of Bayreuth. Other researchers were from the Bogor Agricultural University and the Tadulako University, both in Indonesia, and from the Catholic University of Leuven, Belgium. Results are published in the current issue of the Proceedings of the National Academy of Sciences. Losses of biodiversity and ecosystem functioning due to rainforest destruction and agricultural intensification are prime concerns for science and society alike. Potentially, ecosystems show nonlinear responses to land-use intensification that would open management options with limited ecological losses but satisfying economic gains. However, multidisciplinary studies to quantify ecological losses and socioeconomic tradeoffs under different management options are rare. The group of scientists from the social sciences (cultural anthropology, sociology and economics) and plant biologists therefor joined forces to evaluate opposing land use strategies and their socioeconomic outcomes in a focused case-study. Their object of research was the cacao agroforestry system as it is commonly found in Sulawesi, Indonesia. Field studies were conducted at the margins of Lore Lindu National Park (LLNP) in Central Sulawesi. Sulawesi, an island east of Borneo and northeast of Bali and Java, has high levels of endemic biodiversity which is increasingly threatened by deforestation. The researchers used data on species richness of nine plant and animal taxa, six related ecosystem functions, and on socioeconomic drivers of agroforestry expansion. Interestingly, they also took into account rarely considered cultural factors, such as culturally driven expectations about risk and wealth that go far beyond rational economics or the analysis of pure market forces. These cultural factors played a big role in the expansion of cacao cultivation by 230% in the last two decades. Transformation from near-primary forest to agroforestry had little effect on overall species richness, but reduced plant biomass and carbon storage by approximately 75% and species richness of forest-using species by approximately 60%. In contrast, increased land use intensity in cacao agroforestry, coupled with a reduction in shade tree cover from 80% to 40%, caused only minor quantitative changes in biodiversity and maintained high levels of ecosystem functioning while doubling farmers' net income. Unshaded systems further increased income by approximately 40%, implying that current economic incentives and cultural preferences for new intensification practices put shaded systems at risk. "We found that a soft intensification of agroforestry that decreases canopy cover by shade trees from 80% to 40%, will double the farmers' income while leaving biodiversity and ecosystem services on a similar level," Dr. Teja Tscharntke, a co-author of the paper and a professor of agroecology at University of Goettingen. "This is an example of a win-win or small loss-big gain situation that we need more to identify sustainable conservation strategies." The researchers say that while the environmental payoffs of shade-grown cacao are evident, economic incentives are needed to encourage this style of farming. They note that premium "shade-grown" coffee could serve as a model to generate higher income for farmer using agroforestry techniques. Steffan-Dewenter and colleagues add that education and awareness campaigns could further the cause. "Encouragement of cultural preferences for shaded cacao agroforestry systems and education of local farmers about unappreciated ecosystem services provided by shaded systems could further promote the implementation of certification schemes," the authors write. "Such market-based incentives will crucially determine whether shaded agroforestry systems remain important refugia for tropical biodiversity and sources of essential ecosystem services." "These findings are the result of fruitful collaboration among ecological and socioeconomic groups and among Indonesian and German researchers," added Tscharntke. "The key was to identify the drivers and effects of land use. From this we were able to develop concepts of sustainable land use." The scientists conclude that low-shade agroforestry provides the best available compromise between economic forces and ecological needs. Certification schemes for shade-grown crops may provide a market-based mechanism to slow down current intensification trends. The results are particularly useful for sustainable biofuel projects that rely on agroforestry, instead of on monocultures and/or deforestation. Several research efforts are underway to study the feasibility of making fuels out of non-plantation forestry products - such as oil seeds harvested in pristine rainforests. For an example of these efforts we refer to a pilot project in Brazil based on utilising wild babassu nuts. According to the researchers of this project, there is a large potential for energy production from the shells of these nuts (up to 260 MW of biomass energy for poor forest communities). Babaçu is a palm tree native to Brazil, widely grown there and provides an important industrial and economical resource because of the oil extracted from the kernels. The oil is similar to coconut oil and is gradually conquering that market. Since the trees are not grown in plantations, but are used as they stand in the wild (in the Amazon), its nuts are harvested manually by some of Brazil's poorest communities. They are often left with huge waste-streams of shells after they have removed the oil-rich kernels (which is done manually as well). Unicamp's Faculty of Mechanical Engineering studied the potential for using this waste in efficient co-generation plants, and sees a great opportunity in it for rural electrification. Each year, some 2.9 million tons of babassu shell are wasted (earlier post, scroll down). Similar projects are underway in Cameroon (involving oil-rich Karité nuts) and Gabon, whereas in China, perennial crops like Jatropha curcas are studied for their reforestation capacity as well as their potential to act as shade-crops for legumes in intercropping systems. In such systems (not a typical agroforestry system since it involves new forests), the jatropha trees would function as carbon sinks, their seeds would provide biodiesel feedstocks, and the shade would protect legume cultures. The idea is to create integrated systems that can be managed by smallholders (earlier post). Ingolf Steffan-Dewentera, et al, "Tradeoffs between income, biodiversity, and ecosystem functioning during tropical rainforest conversion and agroforestry intensification" [*abstract], PNAS, March 20, 2007 | vol. 104 | no. 12 | 4973-4978. Mongabay, Farming in the rainforest can preserve biodiversity, ecological services, May 5, 2007. During the 48th annual meeting of the Inter-American Development Bank (IADB) in Guatemala City, the IADB launched a proposal to invest a massive US$200/€150 billion by 2020 for the mass production of biofuels in the hemisphere and to reduce the continent's oil dependence. Meeting participants took a strategic look at the risks and opportunities in a future of diminishing fossil fuels and greater global warming, at a seminar sponsored by the German government. However, the proposed injection of US$200 billion prompted a negative reaction by Venezuela, the continent's major oil exporter. "Suggesting an investment of US$200 billion is incredible when, even at this moment, two out of five Latin Americans do not have access to power supply," Venezuelan Finance Minister Rodrigo Cabeza minister told reporters. IADB President Luis Alberto Moreno countered by saying that "biofuels are a chance for the region to tap into its natural resources, as part of an activity that involves development of technological innovation sites, investment in infrastructure, streamlining of rural sectors and jobs creation". Biofuels as such aren't the real issue, because Venezuela itself is creating bilateral cooperation agreements with, among others, Brazil and especially Cuba, for the production of the climate-neutral fuels. With Cuba, it recently agreed to cooperate on the construction of 11 ethanol plants (earlier post), while at home, President Hugo Chavez has initiated a plan to build 17 such biofuel production facilities (earlier post). He even invited South-East Asian producers to establish plantations in the country (previous post). What is at stake is Venezuela's attempt to control the energy politics of South-America. Interference by a multilateral organisation like the IADB - perceived to be loyal to U.S. interests, not surprisingly since U.S. Treasury Secretary Henry Paulson was present at the meeting and vowed strong support for the biofuels plan - is seen by Venezuela's left-wing government as 'neo-imperialism'. It forms a threat to the country's attempts to forge a broad left-wing alliance in Latin America, in which energy is used as a geopolitical weapon. A similar reaction came from the country when U.S. President Bush signed a biofuel cooperation agreement with Brazil earlier this month. Brazil, the genuine regional superpower, has recently distanced itself from President Hugo Chavez's increasingly agressive attempts to control the debate over biofuels and energy security in Latin America [entry ends here]. Pure Biofuels today announced its plans to lease 60,000 hectares near the city of Pucallpa in central Peru for the cultivation of African oil palm to provide feedstock for its Callao Port biodiesel production facility on the coast near Lima. The city of Pucallpa is located near the Brazilian border, some 500km (300miles) inland from the Callao port. The land, currently classified as 'empty and degraded', is being made available to Pure Biofuels under a sanction agreement with the government of Peru. The company expects to complete its application process and finalize its lease in the coming months. "The lease of this land provides Pure Biofuels with a unique, vertical self-supply capability that will help sustain our production capacity at levels unattainable by other producers in the region," stated Pure Biofuels’ President, Luis Goyzueta. The biofuel maker is confident that the African Palms it intends to cultivate will find a healthy environment in the central Peruvian forests. It’s a hearty plant that thrives in the tropical environment. "Our ability to self-supply our feedstock will contribute to our independence and protection from outside market conditions and commodity price fluctuations and will undoubtedly help Pure Biofuels prosper". With a 50 million gallon per year facility, Pure Biofuels hopes to make a significant impact on the amount of diesel fuel used in Peru, and, more importantly, it says it can help contribute to the energy independence of all of South America. If its plans are realised, Pure Biofuels would indeed be one of Latin America's larger biofuel companies. The flagship project, the Callao Port biodiesel refinery near Lima, Peru, is scheduled to commence production during the fourth quarter of 2007. The Callao Port refinery will process biodiesel from Pure Biofuels' own crude palm oil feedstock, whereas the firm has also secured memorandums of understanding with local fuel distributors for all of Callao Port's annual biodiesel production.